Robert C. Wilson is an author that I know little. 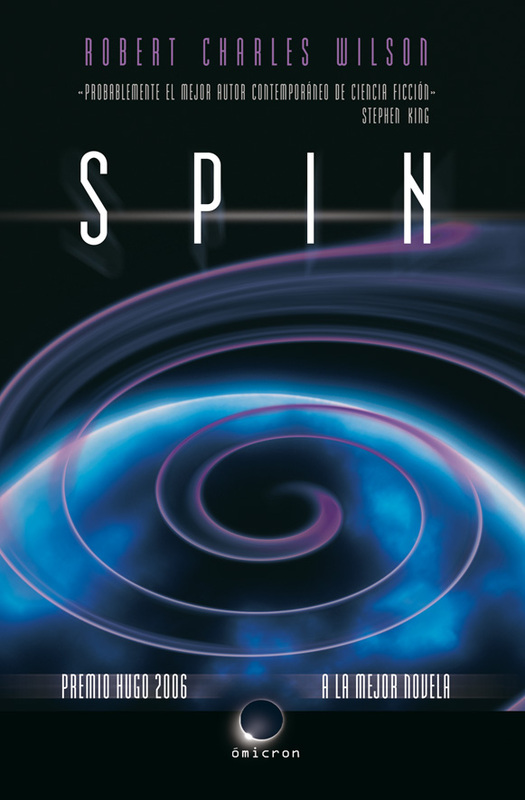 The only book of his that I read before "Spin” era “Darwinia"Published in 1998 and although he was a finalist for the Hugo Awards, I found there were not so bad ... although the focus of the main thesis of the book was original: a world where the more you use things more suited to use . For example, a chair not spent time ... it is better suited to one who has to sit at her. Or a knife dulls not use it so much ... on the contrary ... it becomes sharper and cut better. The bad thing is Darwinia It was more fantasy than science fiction, so maybe it was not the author's fault, but simply did not like the book because I like Hard science fiction, not fantasy. El libro nos explica qué pasa en la Tierra una noche en la que todas las estrellas y la Luna desaparecen. Un misterioso escudo (el Spin) aparece en torno a nuestro planeta y nos aísla del resto del universo. Por cada segundo que transcurre en la Tierra, transcurren 3,17 años fuera del Spin. This book itself is Hard Science Fiction and forces exercise the brain-based well to understand everything that poses the author. We have: time passing differently in different areas, we have a shield that protects the earth from not who knows, we Martians are humans evolved, we have genetic engineering, have mysterious illnesses, rare religions, crazy magnates, etc ... etc ... in short, an enormous amount of ideas and new approaches on Science and Technology. all a joy. 100% recommendable. Objective: conversion of 4% on the website of a hotel Review of "STOLEN LIGHT" by Gary Gibson - Quantum Vi ... Ed.